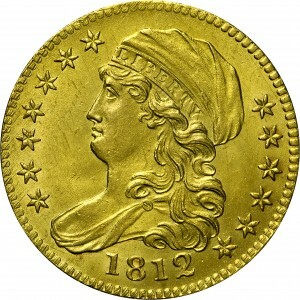 Half eagles dated 1812 are moderately scarce with two varieties represented among the recorded mintage of 58,087 coins. 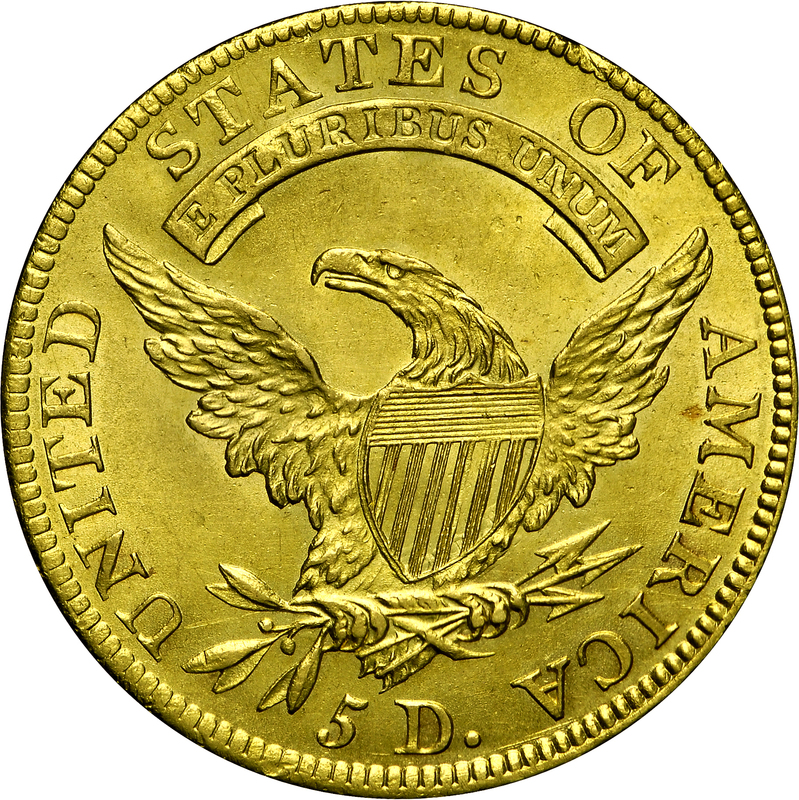 As with the previous year, both varieties are from a single obverse die with reverse dies differing in the spacing of the denomination. This example has a closely spaced denomination while the other has a more widely spaced denomination. 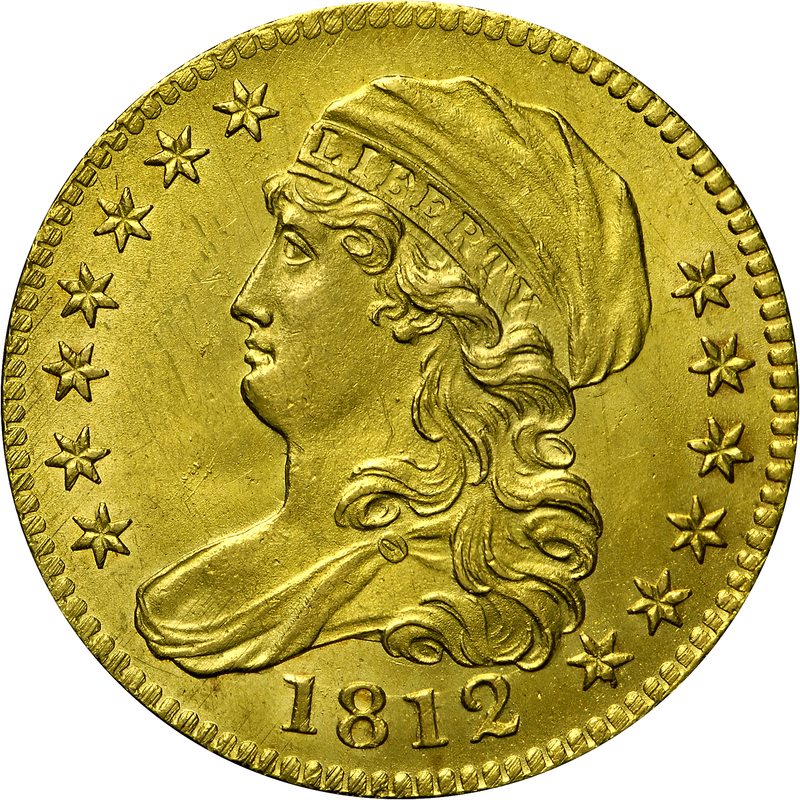 The close denomination variety is quite scarce, with this choice Mint-State example considered among the finest known. From Lester Merkin's sale of March 1969, Lot 191. "Obverse: Large numerals. Minute die center punch lump. Heavily lapped, removing most of clash evidence in field. Clash evidence still visible within LIBERTY, date, elsewhere. Reverse: Close 5 D, small 5. Clash damage evident within shield, lower right area. Faint recutting of 5 to left of knob. Raised line between 5 and lower serif of D."